The Civil Aviation Administration of Air China said on its website, a male passenger on Flight 1350, who it did not identify, attempted to use the pen to hold the flight attendant "under duress". On Sunday, the Air China flight made an unscheduled landing in the central Chinese city of Zhengzhou when a passenger threatened a flight attendant with a fountain pen, the country's civil aviation authority said. The passengers and crew are unarmed, the statement said and didn't provide any more details details about the same. 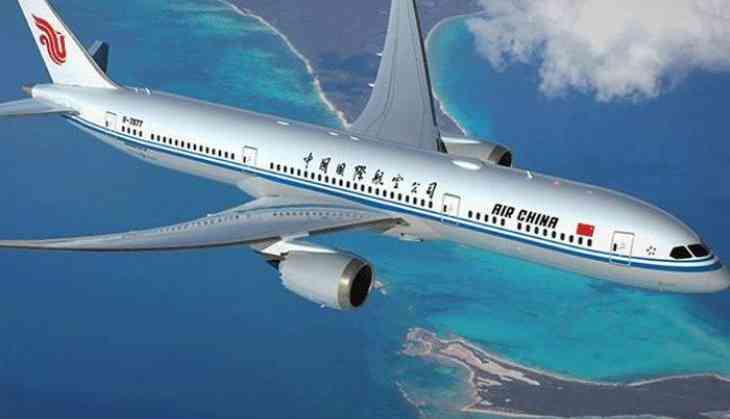 According to flight tracking websites, the flight took off from Changsha, the capital of southern Hunan province, at 8:40 a.m. and was scheduled to arrive at Beijing Capital International Airport at around 11 a.m. The light made the unscheduled landing at Zhengzhou Xinzheng International Airport, in central Henan province, at 9:58 a.m., according to an earlier post on Air China's official Weibo microblog. The police and civil aviation authorities were handling the situation, the Air China made the nscheduled stop due to "public safety reasons".